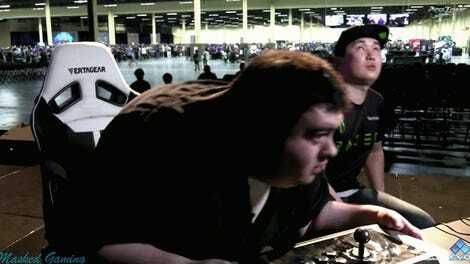 Two titans of Street Fighter V clashed in Mandalay Bay, one on an undefeated streak and the other pressing on through the gauntlet of the loser’s bracket. 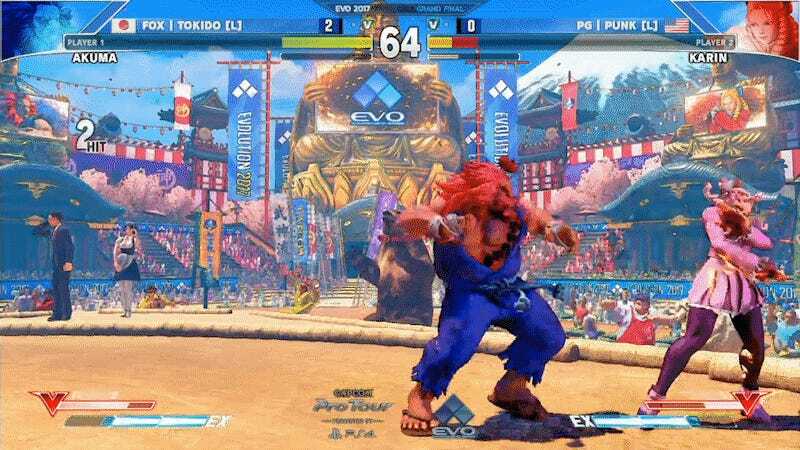 After a bracket reset, longtime Street Fighter pro Tokido beat Punk 3-0 to take home the Evo 2017 championship trophy. 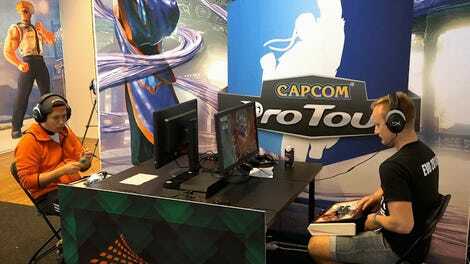 Victor “Punk” Woodley came into the top eight finals from the winner’s side, on a legendary tear through the Street Fighter V tournament. 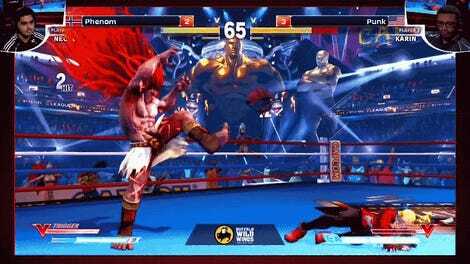 Woodley had dropped Hajime “Tokido” Taniguchi into the loser’s side of the bracket, where he played through some of Street Fighter’s toughest to earn a second shot at The Alpha. Taniguchi on Akuma and Woodley on Karin, the two seemed to trade blow-for-blow, both playing crisp Street Fighter under the main stage lights. Each dash and throw was carefully calculated, as Taniguchi worked towards a bracket reset and Woodley was hard-pressed to maintain his lead. The tension built up to a game 4 where both played a tense game of footsies on slivers of health. One misstep from Woodley into a fireball ended the round, and Taniguchi reset the bracket, starting up a fresh first-to-three and either player’s tournament to win. Momentum in his favor, Taniguchi landed a perfect knockout on Woodley in the next game, and it looked like the match was slipping away from Punk. It ramped up more and more to a 2-0 lead for Tokido, putting Woodley on tournament point with a Raging Demon super. One round from the win, Woodley staved off Taniguchi for a moment but couldn’t stop the onslaught. With a corner combo, Taniguchi finished the fight and secured his first Street Fighter V championship. If you want to watch the whole grand finals, you can check them out on Twitch here.